A report issued by PwC on Africa's hotel sector has highlighted the potential for further growth over the next five years. 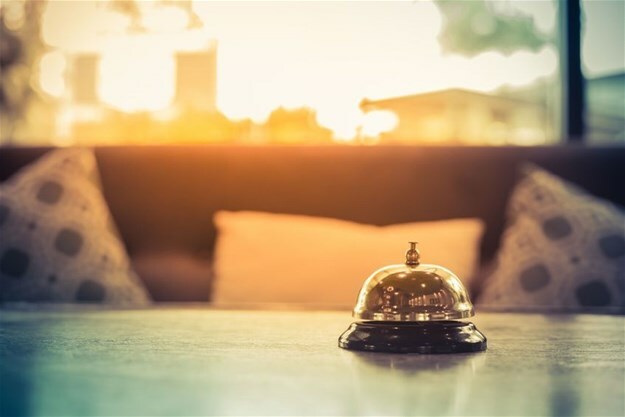 The hotel industry's potential for business growth has been reflected in the increased number of foreign and domestic travellers visiting the continent, as well as in the number of hotel chains established. PwC’s eighth edition of the Hotels outlook: 2018-2022 includes information about hotel accommodation in South Africa, Nigeria, Mauritius, Kenya, and Tanzania. The report projects that hotel room revenue for the five markets as a group will increase at a 7.4% compound annual rate to R50.5bn in 2022 from R35.2bn in 2017. PwC Southern Africa’s hospitality industry leader, Pietro Calicchio says: "Tourism to the African continent has proven to be resilient in the face of economic and political uncertainty, impacts of droughts and other regulatory changes. The opportunities are aplenty for this industry to enjoy further growth albeit at a more modest pace. However, as we continue to see there are also a number of challenges facing each country. This is an industry that is reactive to the smallest change in political, regulatory, safety and sustainability matters." South African hotel room revenue is expected to expand to R21.8b in 2022, up 5.6%, compounded annually, from R16.6b in 2017. The growth in hotel rooms in South Africa, remains similar to that forecast in our 2017 Hotels Outlook with an additional 2,900 rooms to be added over the next five years. We also forecast occupancy rates to continue to grow over the forecast period and to reach 62.5% in 2022.
International visitor numbers to South Africa continued to grow with a 2.4% increase overall. The outlook for 2018 remains positive albeit at lower percentages than experienced in 2016. The report projects that the number of foreign visitors and domestic tourism will increase by 5.3% in 2018. The total number of travellers in South Africa is expected to reach 19.5 million by 2022, a 4% compound annual increase from 16 million in 2017. "There is also continued debate on further relaxation of visa requirements for international visitors and this may impact on our forecast growth," comments Calicchio. After jumping 38% in 2016, visitors from China to South Africa fell 17% in 2017. Travellers from India rose a modest 2.7% in 2017, well below the 21.7% increase recorded in 2016. Of non-African countries the UK is still the largest source of visitors to South Africa at 447,901 in 2017, contributing to the overall growth of 7.2% in visitors from non-African countries in 2017. Of African visitors, the largest number came from Zimbabwe at two million, followed by Lesotho at 1.8 million and Mozambique at 1.3 million. As there is little historical precedence, it is difficult to project the impact of the drought on tourism. Although bookings were down in Cape Town, overall tourism to South Africa held up during the festive season and actually picked up in the first quarter of 2018. Hotels in Cape Town are taking a number of steps to conserve water. If the winter rainfall continues at the current rate, the crisis may be limited in scope. Overall, hotel room revenue in South Africa rose 4.6% to R16.6bn in 2017. Five-star hotels had the highest occupancy rates in the market in 2017, at 79.5%. While the average daily rate (ADR) growth for five-star hotels slowed in 2017 (R2,6m), as it did for the market as a whole, the 8.8% increase was still well above the increase for three- and four-star hotels, reflecting the impact of the high occupancy rate for five-star hotels. The hotel markets in Nigeria and Mauritius continued to perform well in 2017 with both achieving double-digit growth whereas Kenya and Tanzania had decreases in room revenue. For the forecast period as a whole, the number of available rooms in Nigeria will rise from 9,700 in 2017 to 12,600 in 2022, a 5.4% compound annual increase – still the largest expansion of any country in the report. Kenya experienced a drop-in visitors following the national elections in August 2017 but recovery was already seen in December with an increase in visitor numbers resulting in 9.9% overall growth. However, this was not enough to boost overall room revenue, which showed a 13.5% decline in 2017. Going forward, tourism in Kenya is expected to increase at a 6.9% compound annual rate, rising to 2.06 million in 2022 from 1.47 million in 2017. Tanzania’s hotel room revenue amounted to US$206 million in 2017, a decline of 5.5% over 2016 due to a drop-in guest night. However, it is expected that guest nights will grow in 2018, with a forecast revenue growth of 10.2% for 2018. The hotels and tourism sectors in each of the countries in our report are all showing signs of continued growth over the forecast period. Tourism remains an important part of each economy. However, the smallest change or disruption can have a fundamental impact on the future growth of each market. "It is therefore important that investors, hotel operators, tourism bodies and governments continue to work together to grow this important industry and ensure its sustainability so that all stakeholders derive the maximum benefit from it," concludes Calicchio.